I recently found a yellow sticky note on which I had written “Therapy—Be Kind, Honest and Brave.” I wrote that note to myself toward the end of 2017 when I became aware of being more crabby and impatient than usual as the holiday season approached. I now want to embrace my crabby impatience so it can turn into gift. 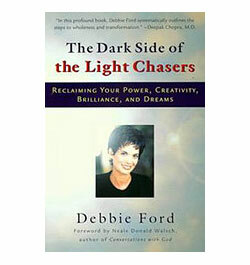 I reviewed some notes I made from when I read “The Dark Side of the Light Chasers” by Debbie Ford. My dark side, my shadow is the person I would rather not be but whom I need to embrace to live a deeper spiritual life. Being authentic and transparent is the way to my true self where a Vast Love resides that can teach me how to love all others by first unconditionally loving myself. 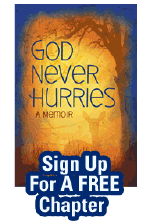 And then my favorite columnist, Philip Chard, who writes for the Milwaukee Journal, provided some more insight in his January 7th Out of My Mind article titled “Turn interruptions into respites, not outrage.” Chard reminded me I do have a choice in how I respond to what life presents. His column also brought back to mind a story told by Sr. Hose Hobday, when on retreat with her a long time ago, of how Brother Lawrence saw God in distractions. It struck me back then as an easy and direct way to accept whatever is. Because whatever is, is the present moment where that Vast Love who resides in us all teaches how to live in love. And all of the above reminds me of Teilhard de Chardin’s prayer, “Above All Trust in the Slow Work of God.” Knowing, loving and forgetting seems to be part of our human condition and in the Divine plan to learn how to love, serve and forgive ourselves and one another. What if we wrote therapy notes to ourselves more often?